No post abaixo, poucos dias atrás postado no facebook oficial da Anfibra, o Sr. Jan Kubesa em delação não premiada afirmou a verdade que muitos suspeitavam e voce já sabia e com argumentos sólidos, muita educação e respeito, insistentemente cobrava dos fundadores da Anfibra: inacreditavelmente a Anfibra é o único clube canino no mundo que não tem seu próprio Padrão racial e de forma escondida, sorrateira e desonestamente usa o Padrão CAFIB. Por que a diretoria da Anfibra não teve a humildade, e sem prepotência, arrogância e vaidade, pediu à diretoria do CAFIB para usar o mundialmente reconhecido e aceito Padrão CAFIB elaborado e pertencente ao CAFIB desde 1979 ? Jan Kubeša Prezados amigos fileiros, como é sabido o clube ONCEIRO durante todo o período desde a sua criação em ano 2000 usado exclusivamente o padrão elaborado pelo Dr. Paulo Santos Cruz e publicado em 1979 en revista O FILA (Nota nº1 do Tio Chico: este jornal foi editado e é propriedade do CAFIB).. Nosso webmaster foi convidado a corregir nossas páginas Web. Este padrão pertence a todos os fileiros que lutam pela preservação do autêntico fila brasileiro e servi-los como um guia. (Nota nº 2 do Tio Chico: em minha opinião, muito ao contrario, este Padrão pertence ao CAFIB). UMA PROPRIEDADE COMO O PADRÃO CAFIB — ELABORADO PELOS FUNDADORES DO CAFIB – PARA SE TORNAR DE DOMÍNIO PÚBLICO, SEGUNDO AS LEIS BRASILEIRAS, SÃO NECESSÁRIOS TEREM DECORRIDOS AO REDOR DE 70 A 100 ANOS DE SUA CRIAÇÃO DEPENDENDO DE CADA CASO ESPECIFICO. LOGO FALTAM MUITO, MUITOS ANOS… E, PORTANTO, A DEVIDA AUTORIZAÇÃO SE FAZ LEGALMENTE NECESSARIA. In the post below, a few days ago posted on the official Anfibra facebook, Mr. Jan Kubesa affirmed without receiving prizes the truth that many suspected and you already knew and with solid arguments, much education and respect, insistently charged the Anfibra founders: unbelievably that Anfibra is the only dog club in the world that does not have its own Standard and in a hidden way, sneakily and dishonest uses the CAFIB Standard. Why Anfibra BOD did not have the humility, and without arrogance, presumption and vanity, asked the CAFIB BOD to use the worldwide, recognized and accepted CAFIB Standard developed and owned by CAFIB since 1979? Jan Kubeša Dear friends, as everybody knows the Club ONCEIRO since its foundation in 2000, exclusively used the Standard prepared by Dr. Paulo Santos Cruz and published in 1979 in O FILA magazine (Uncle`s Chico note # 1: such magazine was edited and owned by CAFIB). Our webmaster has been invited to correct our web pages. This Standard belongs to all the Fila breeders that fight for the preservation of the authentic Fila Brasileiro and serve them as a guide. (Uncle`s Chico note # 2: in my opinion, on the contrary, this Standard belongs to CAFIB). Note: well translated by Chico Peltier. A PROPERTY LIKE THE CAFIB STANDARD — PREPARED BY THE CAFIB FOUNDERS — TO BECOME PUBLIC DOMAIN, ACCORDING TO BRAZILIAN LAWS, NECESSARY NEEDS AROUND 70 TO 100 YEARS OF ITS CREATION DEPENDING ON EACH SPECIFIC CASE. SO, IS MISSING MANY, MANY YEARS … AND THEN THE DUE LEGAL AUTHORIZATION IS NECESSARY. Feliz Virada de Ano para todos, inclusive para os anfibrianos, specialmente para o honesto e sério Sr. Kubesa !!! Happy New Year’s Eve for everyone, including for Anfibra members, specially to the honest and serious Mr. Kubesa !!! Abraços, Chico Peltier — Best Regards, Chico Peltier. Has Mr. Jan Kubesa finally admitted, unlike other Anfibra leaders, that Anfibra uses the CAFIB Standard? And as an honest and wise “gravedigger” did Mr. Kubesa unearth the mystery about the Anfibra Standard ? It seems Uncle Chico was always right: Anfibra does not have a Standard because its leaders never had the technical and historical knowledge to elaborate it. It seems that the mystery of non-existence Anfibra Standard has finally been unearthed. From what I understand from the honest post of Mr. Jan Kubesa, published the day before yesterday in the Anfibra facebook and that goes below in full, as well as photographed and translated, as Uncle Chico had been questioning insistently for a long time, in reality the Anfibra does not have its own Pattern. Initially to deceive the ingenuous members Anfibra invented something called by them “Standard Fila Padrão” (translated into English will be equal to Standard Fila Standard !!!???) that does never exist. And so the mystery continued as in a long romance, needing someone honest and serious as a “gravedigger” to unearth it. Jan Kubeša Prezados amigos fileiros, como é sabido o clube ONCEIRO durante todo o período desde a sua criação em ano 2000 usado exclusivamente o padrao elaborado pelo Dr. Paulo Santos Cruz e publicado em 1979 en revista O FILA. Nosso webmaster foi convidado a corregir nossas páginas Web. Este padrao pertence a todos os fileiros que lutam pela preservação do autêntico fila brasileiro e servi-los como um guia. Well, my friends, finally what is the Standard mentioned above by Mr. Jan Kubesa, which others Anfibra’s leaders are ashamed to admit and assume? After all, what is the name of the well-known Standard that was published in the magazine O FILA # 8 dated 1979? See below the truth unearthed: off course it is the CAFIB Standard, prepared by Dr. Paulo Santos Cruz with the help of the CAFIB founders who are registered and also recognized by the Brazilian Agriculture Ministry !!! As I and many others Fila breeders and leaders have always suspected, but they preferred to comment privately, the Anfibra Standard does not and never exist. I wonder if Anfibra`s leaders will finally clear and transparent admit that Anfibra uses the traditional CAFIB Standard? 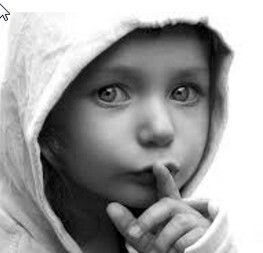 After all, Anfibra`s leaders, why so much mystery ??? Why did not they humbly ask, without arrogance, presumption and vanity, to use the CAFIB Standard ??? Why organize a dog club whose Standard, which is its guideline in breeding, which represents a Country Constitution, is based on masked and fakes claims and excuses ? Why did Mr. Jan Kubesa, as a “gravedigger“, need to unearth the truth about the non-existence of the Anfibra Standard ??? And now that Mr. Kubesa has posted the real truth, what will argue Mrs. Zanetti, Cintra, Cavalcanti, Mancilha, Quinzinho, and so many others who did not believe or agree when Uncle Chico stated so convicted more than a year ago that Anfibra did not have its own Fila Standard ? For those who do not know Mr. Jan Kubesa, President of Klub Onceiro, based in the Czech Republic, met the True Fila Brasileiro at CAFIB and became a CAFIB judge. He judged in Brazil, USA and others countries as a CAFIB judge. Unfortunately he believed in the new adventure of some promises and discourses of innovation and modernity of the Anfibra founders and at the moment is judge of this club. 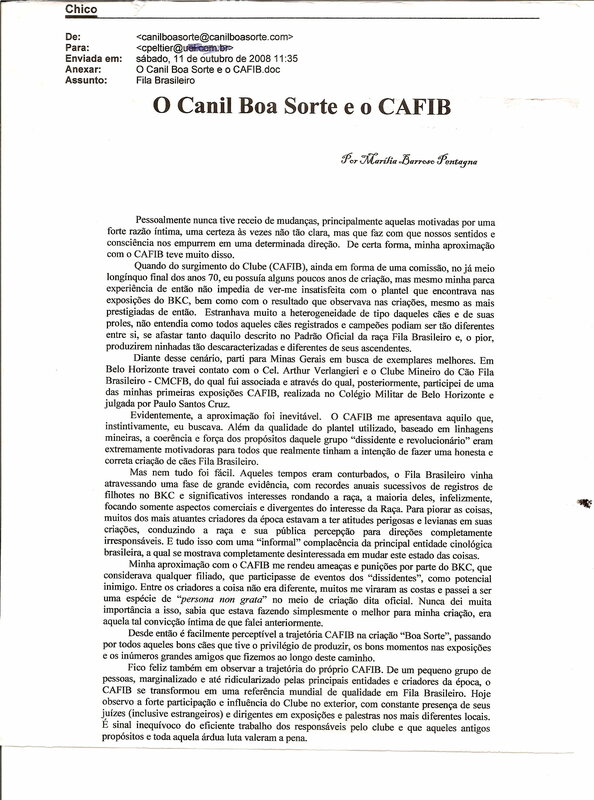 As a correct and serious person, Mr. Kubesa, unlike other Anfibra leaders and members who prefer to make several fakes excuses because Anfibra does not have its own Standard, Mr. Kubesa has publicly stated that he has been following the CAFIB Standard since the founding of his Club Onceiro in 2000, which was published in the CAFIB magazine O FILA, # 8 dated July of 1979. It was an honest and praiseworthy attitude of Mr. Kubesa who had in the CAFIB founder Mr. Américo Cardoso his master regarding the Fila Brasileiro. Mr. Kubesa thus demonstrates that, in my opinion, he is a serious, coherent and differentiated person from the rest of the Anfibra board of directors and members. So he was the first to publicly acknowledge that what is important and of fundamental importance in the genetic improvement of the Fila Brasileiro breed is the CAFIB Standard, which should be adopted and followed by all Fila clubs, judges and breeders worldwide real dedicated to the improvement and preservation of the Fila Brasileiro as we inherited from Mother Nature. Thus, I acknowledge and thank Mr. Jan Kubesa for having been the first judge of Anfibra to recognize and confirm the truth that many Fila people already knew or distrusted and the board of Anfibra childishly and naively stubbornly disguised. I sincerely hope that Mr. Quinzinho, because his educational level, character, seriousness and honesty will be the second. I’m sorry that people like Messrs. Jan Kubesa, Adriano Pacheco and Quinzinho left CAFIB for a new and unknown adventure, but that’s life. Happy New Year for all of you, including for Anfibra and especially for Mr. Kubesa, whom I personally thank for the sincere revelation !!! Será que acabou o mistério sobre o Padrão Anfibra ? Será que o Sr. Jan Kubesa finalmente admitiu, ao contrário de outros anfibrianos, que a Anfibra usa o Padrão CAFIB ? E como um honesto e sábio “coveiro” o Sr. Kubesa desenterrou o mistério sobre o Padrão Anfibra ? Será que Tio Chico estava o tempo todo certo: Anfibra não tem Padrão, pois nunca teve conhecimento técnico e histórico para elabora-lo. Parece que o mistério da não existência Padrão Anfibra foi finalmente desenterrado. Pelo que depreendo do honesto post do Sr. Jan Kubesa, publicado anteontem no facebook da Anfibra e que segue mais abaixo na integra, assim como fotografado, como o Tio Chico já vinha questionando insistentemente há muito tempo, na realidade a Anfibra não tem seu próprio Padrão. Inicialmente para enganar os tolos inventaram um tal de Fila Padrão que não existe. E assim o mistério continuava como numa longa novela, precisando de alguém honesto para como um “coveiro” desenterra-lo. Ora, meus amigos e amigas, e qual é afinal o Padrão acima mencionado pelo Sr. Jan Kubesa, mas que os demais dirigentes da Anfibra têm vergonha de admitir e assumir ? 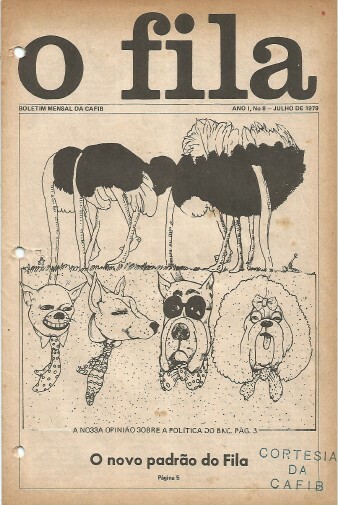 Qual é afinal o nome do conhecidíssimo Padrão que foi publicado no jornal O FILA no nº 8 no ano de 1979 ? Vejam abaixo a verdade desenterrada: é o Padrão CAFIB, elaborado pelo Dr. Paulo Santos Cruz com a ajuda dos fundadores do CAFIB que se encontra registrado e foi reconhecido pelo Ministério da Agricultura !!! Como eu e muitos outros sempre suspeitaram, mas preferiam comentar reservadamente, o Padrão Anfibra não existe. Será que a Anfibra vai finalmente de forma clara e transparente admitir que usa sim o Padrão do CAFIB ? Afinal, Anfibra, por que tanto mistério ??? Por que não pediram humildemente, sem prepotência e arrogância, para usar o Padrão do CAFIB ??? Por que criar um clube cujo Padrão, que é sua diretriz na criação, que equivale a sua Constituição, baseia-se em afirmações mascaradas ? Por que foi preciso o Sr. Jan Kubesa, como um “coveiro”, desenterrar a verdade sobre a não existência do Padrão Anfibra ??? E agora que o Sr. Kubesa postou a verdade, que dirão os Srs. Zanetti, Cintra, Cavalcanti, Mancilha, Quinzinho e tantos outros que não acreditavam quando o Tio Chico afirmava convictamente há mais de uma ano que a Anfibra não tinha seu próprio Padrão Racial ? Para quem não sabe o Sr. Jan Kubesa, presidente do Klub Onceiro, baseado na Republica Tcheca, conheceu o Verdadeiro Fila Brasileiro no CAFIB, se tornou juiz especializado nesta raça graças aos seus estudos no CAFIB. Infelizmente acreditou nas promessas e discursos de inovação e modernidade da Anfibra e atualmente é juiz deste clube. Por ser uma pessoa correta e séria o Sr. Kubesa, ao contrário dos outros membros da Anfibra que insistem em tergiversar usando de evasivas e subterfúgios sobre seu inexistente Padrão, o Sr. Kubesa postou publicamente que segue desde a fundação do seu clube em 2000 o padrão do CAFIB, publicado no jornal O FILA, n º 8 de julho de 1.979. Foi uma atitude honesta e louvável do Sr. Kubesa que teve em nosso fundador Sr. Américo Cardoso seu mestre e guru no que diz respeito ao Fila Brasileiro. O Sr. Kubesa demonstra assim que a meu ver é uma pessoa séria, coerente e diferenciada do restante da diretoria da Anfibra e que foi o primeiro a reconhecer publicamente que o que vale e tem importância fundamental no aprimoramento genético da raça Fila Brasileiro é o Padrão do CAFIB, que deve ser adotado e seguido por todos os clubes, juízes e criadores no mundo inteiro, que se dedicam ao aprimoramento e preservação da Raça Fila, tal qual herdamos da Mãe Natureza. Assim, reconheço e agradeço o fato do Sr. Jan Kubesa ter sido primeiro juiz da Anfibra a reconhecer e confirmar a verdade que muitos já sabiam ou desconfiavam e a diretoria da Anfibra teimava infantil e ingenuamente em dissimular. Espero sinceramente, que o Sr. Quinzinho pela formação, caráter, seriedade e honestidade seja o segundo. Sinto muito que pessoas como os Srs. Jan Kubesa, Adriano Pacheco e Quinzinho tenham saido do CAFIB para uma aventura, mas a vida é assim. Feliz 2017 para todos voces, inclusive para a Anfibra e especialmente para o Sr. Kubesa ao qual pessoalmente agradeço pela sincera revelação !!! (Quinzinho) Liberato Barroso comentando o seu recente post publicado facebook dele. Comento abaixo seu post que foi em 27/12 publicado no seu facebook. Ou seja, o post que voce não teve a delicadeza de me envia-lo diretamente para o meu endereço eletrônico. Apesar de desde 2009 voce conhece-lo, já que eu sempre enviei diretamente para voce todos os meus artigos, principalmente os que mencionam voce e a Anfibra. Isto é: penso e ajo diferentemente de voce. Explico: entendo que quando se menciona alguém, principalmente com o objetivo de criticar seu trabalho, deve-se ter a hombridade e educação de, pelo mesmo, informa-lo em primeira mão, antes da sua postagem e divulgação pública na web. E é exatamente isto que faço agora. 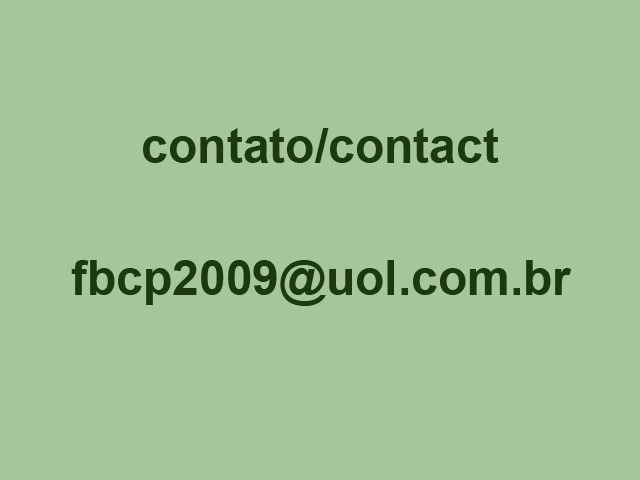 Desde 2009 quando lancei meu site, todos os meus artigos foram e são enviados primeiramente para CBKC e FCI, pois sempre critiquei estes dois clubes por sua postura anti-Fila Brasileiro. Quando fiz perguntas ou critiquei educada e respeitosamente Sergio Castro, Ricardo Simões, Harrison Pinho, Marisa Kanap, Alexandre Bacci, Maria Clarice Silva de Oliveira e outros, sempre tive a preocupação de primeiramente informa-los. Concluindo: não divulgo meu pensamento expresso em meus artigos de forma sorrateira. Sou transparente e direto, sempre defendendo abertamente os pontos de vista nos quais acredito. Se me provarem o contrario, ok, sem problemas, reverei meu pensamento. Mas voce não é obrigado a agir como eu, respeitando sempre os que voce critica. Pelo visto voce é adepto da forma de atuar de Andre Coltre e Mariana Dudeck que, me criticando quando me posicionei publicamente e dando inicial conhecimento a eles, contra uma nova experiência que eles pretendiam fazer com o “fila-preto”, me responderam de forma escondida e matreira postando um artigo-resposta no facebook dela. Felizmente meus muitos amigos que sabem que eu não frequento facebook, me enviam muitas postagens, muitas fotos e, até, infelizmente muitas “aberrações”. Foi o que aconteceu nesta sua postagem e na deles. Aproveito para comentar que os únicos anfibrianos que não recebem meus artigos diretamente há três e um ano respectivamente são o Sr. Fernando Zanetti que tanto mal causou ao CAFIB, além de denegrir e caluniar nossa diretoria a partir do segundo semestre de 2013 e o Sr. Flavio Mancilha que em Julho/15 me ameaçou fisicamente via o emprego da temida, criminosa e assassina Milícia do Rio, após ter tido em Abril/15 sua proposta de sócio recusada por toda a diretoria do CAFIB. Aliás, por decisão desta mesma diretoria do CAFIB, onde fui voto vencido, em Agosto/15 registrei um Registro de Ocorrência (BO) na Delegacia da Gávea, Rio sobre esta ameaça. Inicialmente desejo comentar com voce e todos os copiados que por principio não inicio a discussão de um novo assunto com alguém sem encerrar um anterior já em curso. Ou seja, antes de comentar seu post, necessito que voce comente para mim o que voce pensa sobre meus artigos anteriores ao seu e que deram de fato origem ao seu post que agora menciono. Tenho absoluta certeza de que voce, Sr. Quinzinho, me entenderá pois é uma pessoa esclarecida e com conhecimento bem acima da media dos demais fileiros. Ocorre que aprendi, principalmente em minhas longas trocas de emails com o Sr. Virgílio Orsi, que não devemos iniciar um assunto, sem encerrar o já iniciado. Caso contrário, não se conclui nada. E eu penso que é indispensável concluir. Concordando ou não. Infelizmente vejo muito este “tiroteio” sem nexo nas postagens de facebook que recebo. Muitas ininteligíveis, pois são escritas por analfabetos funcionais, como enormes erros de português e pontuação. Alguém (chamemos de interlocutor nº 1) afirma: — “2 + 2 = 4”. E por ai vai, Sr. Quinzinho, num papo sem fim e na maioria das vezes sem nenhuma conclusão. Isto para não mencionar as grosserias gratuitas, as brigas seguidas de juras de amor eterno. Em minha opinião trata-se em sua grande maioria de uma conversa estéril e não produtiva. Pura perda de tempo. Recheadas de elogios e mais elogios, muitas vezes falsos. Todo mundo é amiguinho de todo mundo. O que vale é ser simpático e ter mais e mais “amigos”. Com muito “kkkkkk” e muito “hehehehehe”. Não sou assim: entrei sozinho nesta parada do Fila Brasileiro com vinte poucos anos para valer e à vera. Me orgulho de ter dado enorme contribuição para salvação e resgate do Fila Brasileiro da extinção. Se o Fila Brasileiro não fosse um cão, mas sim uma tartaruga ou um pássaro raro, a mídia me idolatraria e, mais ainda, o CAFIB. Cachorro não dá Ibope… Para mim este tipo de conversa no facebook é o que apelidei de “conversa-salada-genética”, numa analogia aos “filas-salada-genética” mestiços que adjetivei se não me falha a memória em 1976, antes mesmo da criação do CAFIB. Espero que voce tenha compreendido então por que entendo ser imprescindível que voce comente comigo os pontos principais que abordei nos meus três artigos mencionados acima, antes de eu comentar o seu pensamento explicitado no artigo que voce não me enviou mas postou em seu face. Voce concorda com o fato do Sr. Flávio Mancilha ter respondido a pergunta “…o que diferencia o padrão PSC dos demais?”, citando seis vezes o Padrão do CAFIB e não citando nenhuma vez o Padrão Anfibra ? Baseados em que Padrão os anfibrianos criam, expõe, premiam, emitem e vendem pedigrees? Se a Anfibra não foi criada com o único objetivo de destruir o CAFIB, na pretensão de assumir seus bens, patrimônio, controle genealógico, Stud Book site e sua senha, registros, fotos, documentos, pedigrees, jornais O Fila, etc… (vide em http://www.cafibbrasil.com/leitor_not/items/comunicado-do-cafib-aos-proprietarios-e-criadores-de-fila-brasileiro-no-brasil-e-no-mundo.html e em http://www.cafibbrasil.com/leitor_not/items/expulsao-ou-auto-desligamento-de-ex-diretores-do-cafib.html ) e até seu Padrão achando ingenuamente os organizadores deste novo clube que os fundadores e membros do CAFIB não reagiriam, pergunto o que de novo trouxe de fato a Anfibra para a criação do Fila Brasileiro já que, até onde vai meu conhecimento, a Anfibra apenas copia exatamente o que o CAFIB já faz com estrondoso sucesso a há quase 40 anos ? Ou seja, Sr. Quinzinho, qual a razão de ser da Anfibra ? Em sua opinião os criadores que saíram do CAFIB, principalmente dos Canis Amparo e Santa Luzia, aceitaram passar o bastão, isto é, títulos e premiações para os novos canis que surgiram no CAFIB, como sempre ocorreu anteriormente ou não ? Se voce acha tão fácil elaborar um site como o criado pelo Canil Itanhandu com a supervisão de Jonas Tadeu Iacovantuono (vide “Desclassificações por Miscigenação” em : http://www.cao-filabrasileiro.com/#!__fila-brasileiro-desq ), por que o Sr. Fernando Zanetti decorridos aproximadamente 4 anos ou a Anfibra decorridos dois anos ainda não apresentaram um trabalho melhor ? Talvez voce não saiba, mas o lançamento oficial deste padrão ilustrado foi feito pela Mariana Campbell em Alicante, Espanha no dia 28/10/11 e o Sr. Zanetti disse para o Sr. Airton Campbell e para mim em Guaratinguetá no Hotel O Paturi em Novembro/12, isto é, há 4 anos, que construiria um site muito melhor. Será que 4 anos não foram suficientes para uma construção semelhante ou melhor ? Voce acha mesmo que o Clube Onceiro e Jan Kubesa apenas deixam em seu site o Padrão CAFIB porque não tiveram nos últimos 3 anos tempo de retira-lo de seu site ou porque ainda de fato o usam ? CAFIB ? Voce sabe por que até hoje, decorridos 3 anos, o Sr. Zanetti não denunciou ninguém à Justiça como garantiu ao CAFIB que o faria, nem tampouco conseguiu apurar quem lhe enviou este material pedindo análise ? O Sr. Flávio Mancilha é realmente hoje um dos principais criadores da Anfibra ? Os ex-diretores do CAFIB que idealizaram e fundaram a Anfibra furtaram parte dos bens e patrimônio do CAFIB ? 10.1 – decorridos quase 3 anos o site da Anfibra ainda esta mesmo em construção? 10.2. – que documentação tão importante seria a mencionada pelo Sr. Fornel que o impossibilita de em meio minuto postar no site da Anfibra seu Padrão racial ? 10.3 – existem na Anfibra membros que não se interesse em conhecer o Padrão racial da Anfibra? 10.4 – a Anfibra usa Padrão impresso ? 10.5 – será que o Sr. Fornel poderia enviar para meu email — que todos conhecem desde 2009 — uma copia do Padrão Anfibra ? 10.6 – será que a Anfibra usa de fato o Padrão CAFIB, mas sente-se constrangida e com vergonha de admitir ? 10.7 – Quando o senhor julga uma expo da Anfibra o faz tendo em mente o Padrão CAFIB ? Caso negativo, que padrão o senhor usa para seu julgamento ? 10.8 – o senhor acha que os fundadores da Anfibra tem conhecimento técnico e histórico para redigir um padrão racial para o Fila Brasileiro? Se sua resposta for positiva, pergunto então por que a Anfibra permanece nebulosamente as vezes informando que cria com base no Padrão do Fila Padrão, que ninguém sabe o que de fato seja, pois jamais foi claramente definido nem aceito pelos criaodres; em outros momentos alega que seu padrão é o Padrão PSC, que não existe, pois como se sabe, o que existe é o primeiro Padrão do BKC, elaborado pelo Dr. Paulo Santos Cruz mais dois colaboradores na década de 1950 a pedido do KCP/BKC, que aceitava o “fila-preto” e foi substituído em 1978 pelo Padrão CAFIB, ou ainda, o misterioso Padrão ontem mencionado pelo secretário Sr. Fornel que nos informou que a Anfibra tem sim um outro Padrão. Afinal: qual é o Padrão oficial da Anfibra ? O senhor me promete enviar uma copia ? – também perante os jornalistas Sr. Paulo Godinho (revista Animais & Veterinária e Jornal do Brasil) e Sr. Antônio Carvalho Mendes (Estadão) ? – escrevi alguns dos primeiros artigos sobre Fila Brasileiro Puro e mestiço para a Animais & Veterinária ? E tudo isto e muito mais, Sr. Quinzinho, antes da fundação do CAFIB (em Maio de 1978). Sendo praticamente todas minhas ações e meus textos divulgados depois que eu parei de criar em meados de 1977. Ora, Sr. Quinzinho e dirigentes da Anfibra – tão mal informados e sem lógicos e plausíveis argumentos — para voces e muitos outros tolos, quando o Tio Chico escreve defendendo o Fila Puro e textos que lhes agradam, sendo eu criador ou não, o Tio Chico é o máximo e minha caixa de entrada recebe parabéns e agradecimentos. Mas ai os NAM`s (Neo Apologistas da Mestiçagem) reclamam sempre sem argumentos. Mas quando o Tio Chico escreve texto com verdades que voces da Anfibra não gostam de ler – como a inexistência do Padrão Anfibra – voces infantilmente se revoltam e me chamam nos facebooks de velho, pinóquio, fofoqueiro, choco e outras criancices e ainda me ameaçam via Milícia do Rio e até esta semana envolveram inacreditável e desequilibradamente minha família e minhas filhas (!!!) e outras coisas típicas de meninos mimados sem nenhuma argumentação lógica e de bom senso. Pois espero que voces da Anfibra em 2017 cresçam e amadureçam. Se não concordam com o pensamento do Tio Chico, ok, sem problemas. Basta contra argumentar. É assim que funciona no mundo civilizado. É assim que caminha a humanidade que realiza e não fica chorosa pelos cantos. Mas infelizmente não é assim em certos canis e na cabeça de certos analfabetos funcionais que não sabem defender corretamente seus pontos de vistas com educação, respeito, cultura e inteligência. Pouco me importa se o senhor, demais anfibrianos ou criadores outros clubes não gostam do Tio Chico ou o injuriam. Não dou a mínima, pois como sempre afirmei, não levo nada referente ao Fila Brasileiro para o lado pessoal. Mas faço e farei sempre o que entender que é e será melhor para o Cão de Fila Brasileiro que juntamente com o CAFIB ajudei a salvar. E a grande maioria dos frequentadores de facebooks, mesmo renomados criadores de “filas-mestiços” com seus “fila-aberração” premiados afirmam que amam. Ora, Sr. Quinzinho, amam mesmo os cachorros que encontram-se em seus canis. Seja lá o que forem !!! Assim, Sr. Quinzinho, me informe por que na míope visão da Anfibra, o Tio Chico não pode escrever seus pensamentos ? Me informe também por que inúmeros radialistas e comentaristas da Radio CBN, apenas como um único exemplo, podem receber perguntas de seus ouvintes e o Tio Chico que se iniciou na Raça Fila em 1974 (42 anos atrás) e lançou um site em 2009 com mais de mil documentos e 600 fotos, que tem uma audiência auditada pela Locaweb de aproximadamente 14 mil visitas por mês e um blog lançado em 2012 que conta com quase 450 artigos e 700 fotos e visualizações auditadas pelo World Press da ordem de quase 38.000, não pode receber perguntas ? Por que ? Por que o Sr. Flávio Mancilha pode ter mais de 10 mil seguidores em seu facebook, interessados ou não realmente em Fila, e o Tio Chico não pode receber perguntas ? Por que analfabetos funcionais podem escrever e o Tio Chico não pode escrever ? Por que motivo temem tanto as verdades que o Tio Chico escreve ? Por que ? O senhor concorda comigo que um dos maiores problemas da Raça Fila é o baixio nível cultural de muitos de seus criadores e o fato de que a grande maioria se inicia na criação ontem, mas hoje já se acha PHD em Fila ? Que a grande maioria dos pseudo criadores compra um cão hoje e amanha o chama de padreador? Que a grande maioria dos “pseudo” criadores acha que sua primeira ninhada é maravilhosa e composta de futuros campeões e dignos representantes da Raça Fila” ? Que o “juiz” Sr. Fernando Zanetti privilegiando a “ponta da guia” inventou Medalha de Ouro para Temperamento para um cão de propriedade do seu amigo Tenisson Cavalcanti, desrespeitando os Regulamentos do CAFIB ? E, ainda, que se o Fila Brasileiro fosse Alemão ou Inglês seria uma das raças caninas mais populares e amadas em todo o mundo ? Pois seria criado e preservado num pais civilizado onde um clube como o CAFIB seria por todos respeitado e admirado, a começar pela própria FCI que o apresentaria ao mundo como exemplo de clube a ser seguido e copiado? Sr. Quinzinho, veja como foi árduo e trabalhoso o início do sensacional trabalho desenvolvido pelo CAFIB do qual o senhor não participou, assim como outros fundadores da Anfibra, clicando humildemente e com seu espirito desarmado em https://filabrasileirochicopeltierblog.wordpress.com/2016/05/09/post-n-362-perguntem-ao-tio-chico-no-131-o-inicio-da-formacao-do-plantel-cafib-quase-40-anos-atras-demonstrado-via-fotos-das-primeiras-afts-o-trabalho-unico-de-recuperacao-e-apr/ . Por isto serei eternamente grato ao CAFIB, seus dirigentes e criadores que ajudaram a difundir a Filosofia de Criação do CAFIB e, principalmente, na prática salvaram e realizaram meu antigo sonho de resgatar o Fila Brasileiro da extinção. Muito obrigado aos meus queridos e competentes amigos cafibeanos !!! Note, Sr. Quinzinho, que todas as perguntas acima constam dos meus três artigos acima mencionados, mas o senhor não respondeu ou comentou nenhuma delas. Ao contrario, o senhor preferiu iniciar outros assuntos diferentes, os quais estou pronto para debater no futuro mas, entretanto, aguardo primeiramente seu pronunciamento sobre as 14 perguntas acima, respeitado apenas a ordem cronológica em que foram realizadas, isto é, as minhas antes das suas. Afinal, não vejo sentido algum em eu responder ou comentar seus novos tópicos, sem antes receber suas devidas respostas às minhas perguntas anteriormente feitas. Caso contrário seria possível imaginar que o senhor apenas deseja, não tendo como me responder, desviar o foco do assunto em questão mencionados nestes meus 3 artigos, para outros temas novos e diversos. Me parece justo, certo ? Se discordar, por favor, defenda seu pensamento. Desde já, grato. I – O senhor afirmou de forma totalmente equivocada que eu sou o ”porta voz honorário” do CAFIB. Chegou mesmo ao ponto de afirmar erradamente que sou pelo CAFIB “credenciado” para tal. http://www.cafibbrasil.com/leitor_not/items/expulsao-ou-auto-desligamento-de-ex-diretores-do-cafib.html . Ou navegue pelo site oficial do CAFIB. Como todos sabem ou deveriam saber, o CAFIB vem ha quase 40 anos fazendo seu trabalho inquestionável e de pleno sucesso de resgate, aprimoramento e preservação do Fila Brasileiro tal qual herdamos da Mãe Natureza. E sua diretoria em sua esmagadora maioria não dá a menor importância para o CBKC e muito menos para a FCI. Logo, imagine para a Anfibra… O que a diretoria do CAFIB pensa da Anfibra encontra-se escrito e assinado nestes dois links acima. Nada mais. Independente deste fato indiscutível o Tio Chico pensa diferente de muitos diretores do CAFIB e tem suas convicções por eles respeitadas. Nossa diretoria não me vigia, policia ou muito menos censura, pois entende que eu, diferentemente da maioria deles, sempre sonhei com uma Raça Fila Brasileiro unida, sob uma só bandeira e um só clube. Basta ler sem preguiça meus inúmeros artigos e depreender que em muitos deles este fato encontra-se indelevelmente registrado. Alias, desde 1974 penso assim… E vou morrer tentando… Ou antes disto conseguirei. Tanto que iniciei um namoro com a UNIFILA quando na presidência se encontrava o Sr. Sérgio Barbosa, convidei o Toninho Linhares Borges para julgar uma expo do CAFIB em Amparo e tentei um Acordo com o CBKC ao ter aceito um convite do Sr. Sergio Castro para visita-lo. Evidentemente em todos estes três episódios fui prévia e devidamente autorizado pelo CAFIB. Quem assina todos os artigos do Tio Chico, Sr. Quinzinho, sou eu. Somente eu: Chico Peltier. Como entendo que o senhor é uma pessoa culta, muito acima da média dos fileiros, sou obrigado a concluir que o senhor sabe muito bem diferenciar os textos e opiniões oficiais do CAFIB dos do Francisco José Peltier de Queiroz, o Tio Chico. Assim, receio que o senhor escreveu intencionalmente, tentando confundir seus leitores sem sequer os respeitar. Assim me ocorre que envolver o CAFIB e Tio Chico poderia trata-se apenas de pura e dolosa má fé e não de simples ignorância de sua parte. Afinal, como todo mundo fileiro sabe muito bem, nem o Chico Peltier, nem o Tio Chico tem procuração do CAFIB para falar em nome desde admirável clube, que apesar da grande crise que assolou nosso país este ano, foi capaz de realizar todas as suas exposições, algumas com 50 exemplares em pista; realizar a primeira ATF no Uruguai com 49 exemplares em pista; assim como executar todos os nossos trabalhos de Secretaria dentro do prazo e realizar nosso Campeonato Anual. Sem “ponta da guia” como, por exemplo, ocorreu recentemente no Caso Vodka. Seria o mesmo que eu afirmasse levianamente e sem nenhuma evidencia que o senhor é porta voz da Anfibra ou, pior, do Sr. Fernando Zanetti. II – Sr. Quinzinho, em dado momento do seu post o senhor afirma que a Anfibra nunca escreveu “uma linha sequer de cunho agressivo dirigida a quem quer que seja”. Sinto muito decepciona-lo. Ou o senhor tem pouca memória ou jamais leu o que alguns dos seus companheiros de novo clube postaram no antigo site do CAFIB que foi por eles furtado e indevidamente usado para agredir, caluniar, difamar e injuriar o CAFIB e praticamente toda a sua diretoria. Estas agressões encontram-se copiadas e fotografadas. E muito mais, principalmente referente a posts em facebooks. São quilos e mais quilos de pura injuria, calunia e difamação. Será que o senhor tampouco leu as calúnias divulgadas no final de 2013 e inicio de 2014 pelos seus parceiros de novo clube via facebook ? Tanto que a diretoria do CAFIB encontra-se dividida quanto às medidas judiciais que serão tomadas, quer seja pelo CAFIB ou por alguns de seus diretores em conjunto ou individualmente. Textos e apelidos recheados de ofensas e desrespeito até mesmo ao Estatuto dos Idosos. Creio ser simplesmente impossível o senhor não ter lido esta semana que até minha família e filhas foram envolvida e citadas num post, numa atitude que reputo extremamente grave e desequilibrada !!! Relembrando-o que já me ameaçaram via a criminosa Milícia carioca !!! Afinal, que tipo de sócios a Anfibra aceita para fazerem parte deste clube ? Não existe uma seleção ? Pois saiba que o CAFIB não só aprimora Filas Brasileiros, aprimora também seus dirigentes, juízes e sócios. Alias, creio que mais um sócio no ano que vem terá seu registro vetado ou será suspenso ou expulso. Sr. Quinzinho, sugiro que releia seu próprio post com mais atenção. O senhor neste texto cita diversas vezes o CAFIB, se não me falha a memoria foram 10 vezes, descrevendo e inventando fatos dos quais o CAFIB jamais participou e documentos que o CAFIB jamais divulgou, difamando e denegrindo o nome de um Clube que em 2.017 completará 39 anos de reconhecidos trabalhos em prol da Raça Fila Brasileiro. O CAFIB nunca atacou, difamou ou injuriou outras entidades de cinofilia; não tem e nunca teve “Porta Voz Honorário” para falar em seu nome. Sugiro que o senhor tome mais cuidado. O CAFIB continua como sempre fez nestes quase 40 anos de atividades se preocupando unicamente com o Fila Brasileiro, ignorando solenemente todos os demais clubes especializados assim como, CBKC e FCI, desde quando em 1979 com ambos rompeu. Ao contrário do que o senhor afirma o CAFIB não passa por desorientação, desmando, deterioração ética, moral e intelectual como o senhor equivocadamente alega sem apresentar nenhuma comprovação, evidencia ou mero exemplo sequer. Apenas vagas palavras sem nenhuma substancia… Compare seu texto com os meus e observe a quantidade de solida e lógica argumentação, documentação e fotos que apresento. Tome mais cuidado ao redigir seus pensamentos. O senhor parece que ignora que neste seu post escreveu publicamente uma série de mentiras para difamar e prejudicar uma entidade séria e respeitada no mundo inteiro. Receio que outros diretores do CAFIB resolvam também entrar com um processo contra a sua pessoa por calúnia, injúria e difamação, com direito a uma vultosa indenização como reparação por danos morais. III – Quase finalizando, Sr. Quinzinho, permita-me comentar que não entendi o forçado enxerto feito pelo senhor do email assinado pelo nosso amigo comum Sr. Paulo Godinho elogiando sua Tia Marilia Pentagna, assim como voce. Afinal, o que tem este email de cunho somente familiar e natalino, adicionado pelo senhor em seu post na integra, a ver com o Padrão racial da Anfibra que até agora não sabemos se o seu clube Anfibra possuiu ou não ? Gostaria muito que o senhor me explicasse, caso contrário, serei obrigado a suspeitar de que o senhor usou indevidamente um email de Natal do renomado e respeitadíssimo jornalista, escritor e juiz all rounder do CBKC – Sr. Paulo Godinho — tentando se auto elogiar e tentado validar os seus equivocados pensamentos sobre o CAFIB e sobre mim publicados neste seu post que comento. Por favor, Sr. Quinzinho, o que tem este intimo e pessoal cartão de Natal para sua família a ver com o Padrão racial existente ou não da Anfibra ? Além de tudo que acabo de escrever, Sr. Quinzinho, tenho absoluta certeza que um clube canino sério e honesto, que de fato trabalha e não apenas copia o que outro clube já faz com sucesso há quase 40 anos, teria no mínimo orgulho e obrigação de mostrar o seu próprio Padrão Racial para o mundo, ainda mais quando se apresenta como sendo um clube inovador – que ainda não mostrou nenhuma inovação — , que veio corrigir falhas do passado – que jamais foram apontadas — e… até mundial. A pergunta que as dezenas de post fabricados e postados pelos membros da Anfibra nos últimos dias no facebook da Anfibra ainda não conseguiu simplesmente responder é: afinal qual é o Padrão racial adotado pela Anfibra ? Será o Padrão do Fila Padrão ? Ou será o Padrão do BKC/KCP datado de 1950 que aceita o “fila-preto” ? Será de fato como sempre suspeitei o Padrão de propriedade do CAFIB devidamente registrado em nome do CAFIB além de no Ministério da Agricultura ? Ou será o misterioso Padrão que o Sr. Fornel anteontem disse que pode enviar para os interessados por email, mas ainda não recebi ? (1) – But this site has been under construction for how many years? CAFIB had its website and password stolen and in 10 days put all our documentation on the web… Except what was stolen and has no copy. (2) – Worried about documentation? But is not the documentation based on a breed Standard that serves as a guideline to be followed by breeders and freely disclosed by the Club and its leaders? How can any “documentation” be more important than the Standard? Is not the Standard the most important guideline in a dog club has to follow and respect? So why is not it posted on the Anfibra website? After all, what other documentation would be more important than the Standard to which Mr. Fornel refers? (3) – Is there a breeder member of Anfibra that is not interested in knowing the Anfibra Standard ? After all, what kind of breeders is this? They breed based on what? Will it be another non-standard, “genetic salad” type of breeding that prevails in CBKC-FCI? Or do they all actually use the CAFIB Standard, but do not like to admit it? 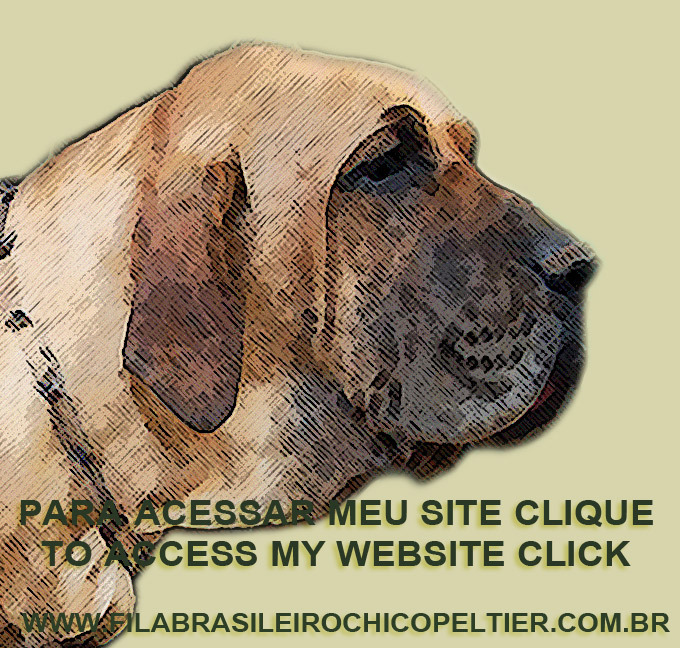 After all, what matters, if Uncle Chico and the Anfibra inventor, Mr. Fernando Zanetti, are not Fila Brasileiro breeders… Lol… Lol…. (1) – Ué, mas este site esta em construção há quantos anos ? O CAFIB teve seu site e senha roubados e em 10 dias colocou toda nossa documentação na web… Salvo o que foi roubado e não tínhamos cópia. (2) – Preocupado com documentação ? Mas a documentação não se baseia num Padrão Racial que serve como uma diretriz para ser seguida pelos criadores e divulgada livremente pelo Clube e seus dirigentes ? Como pode existir “documentação” mais importante que o Padrão ? E sem que o Padrão seja anteriormente muito bem divulgado, conhecido e aceito pelos sócios ? O Padrão não é a diretriz mais importante que um clube canino tem que seguir e respeitar ? Então por que não esta postado no site da Anfibra ? (3) – Ué, será que existe criador membro da Anfibra que não se interesse em conhecer o Padrão racial da Anfibra? Afinal, que tipo de criador é este? Criam baseado em que ? Será mais uma criação sem Padrão, do tipo “salada genética”, que impera no CBKC-FCI, onde o que vale mesmo é a “ponta da guia” ? Ou será que usam todos na verdade o padrão CAFIB, mas não gostam de admitir ? About some posts without arguments and others lack of meaningless education about my article that deals with the fact that Anfibra did not have its own Fila Standard and also about the origin of the formation of this club. See in English clicking https://filabrasileirochicopeltierblog.wordpress.com/2016/12/26/post-n-439-ask-uncle-chico-148-mr-mancilha-or-in-english-nicknamed-mr-meekness-makes-a-big-mistake-and-writes-the-truth-another-uncontested-proof-that-anfibra/ ) I comment with you that I have received some posts written by Anfibra people, among them, Mr. Flavio (Mancinho?) Mancilha Donizete, Mr. Fernando Zanetti and Mr. Tenisson Cavalcanti, which at no time at all comment or disagree with the content of my article. That is to say: without arguing for my solid and well-grounded reflection, they “forgot” to comment on the subject: why a dog club of a specific breed DOES NOT HAVE ITS OWN STANDARD. If Anfibra does not have its own Standard these people breed, expose, reward, issue and sell pedigree based on what ??? They tremble with fear when mentioning the disastrous analysis made by Mr. Fernando Zanetti in the rumored and well-known Tigre-Golias Case. (*) Contrary to the authors of these mentioned postings above, who do not have the courage to discuss the issue of the non-existence of a Fila Standard in Anfibra and the subjects commented above, Mr. Jan Kubesa is honest and publicly admits that he uses and respects the CAFIB Standard, been the only club responsible for having rescued from extinction and preserved the so-called Pure Fila until today is, undoubtedly, the only world reference in the honest and correct breeding of the Fila Brasileiro. And bravo the contradiction !! !